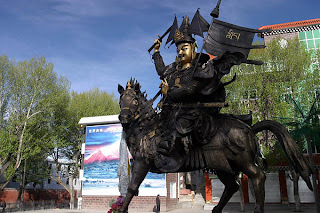 Litang (理塘) is a county in the Sichuan province of China. It's town, of the same name, is known as one of the highest towns in the world. At 4014m, it is actually higher than Lhasa, but since it is not served by airport, getting into Litang is usually by bus or private transport, and you'll be less likely hit by altitude sickness. 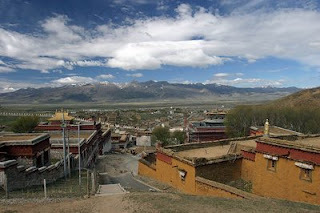 Litang is the birthplace for several Dalai Lamas, and so, one of the things to do here is to visit the monasteries, the main one being Chang-qing-chun-ke'er. 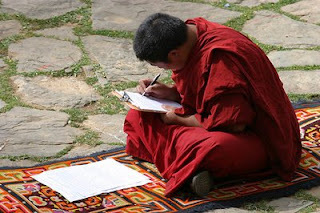 During our visit, the monks were having some sort of exam, and it was interesting to see that it was pretty much similar in many aspects to our exam taking scenes! 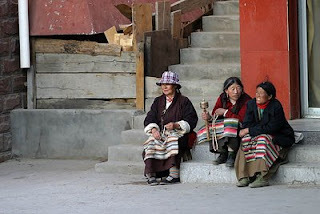 Litang used to be part of the Tibetan Kham province, and the Khampa Tibetans still form the majority of the population here. 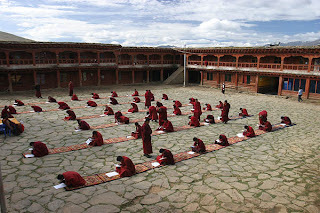 In town itself, many of the residents are still in their traditional garb, and every evening, there would be Tibetan dances in one of the squares in the town!